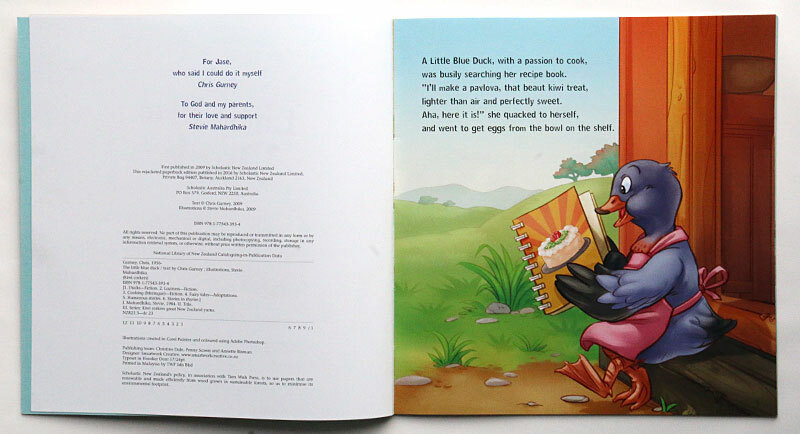 Browsing through her recipe book, the Little Blue Duck decides to make that great kiwi classic, a pavlova! But Tui, Kea and Weta are no help at all, leaving Little Blue Duck do all the work so when the time comes to eat the pavlova, there's no prize for guessing who is not allowed any! 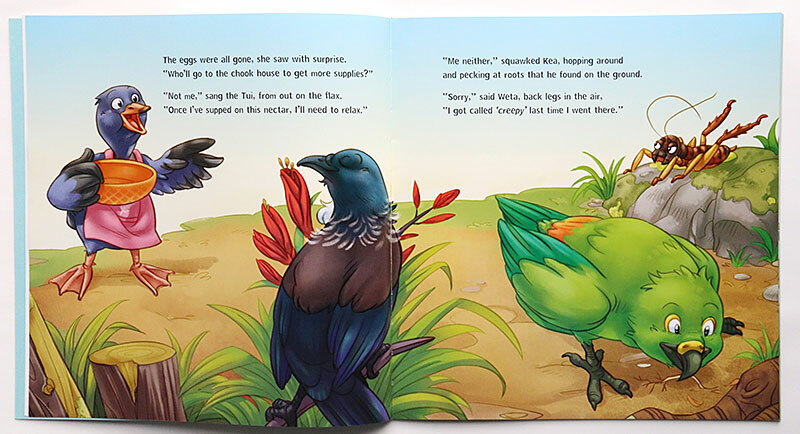 Kiwi retelling of The Little Red Hen. During February and March 2014, I was part of the What Lies Beneath exhibition at the National Library, Parnell. The exhibits provided a chance to visually see what goes on behind the scenes, as a book evolves. 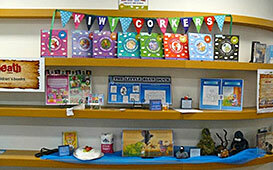 I promoted the 'Kiwi Corkers' series in general, and in particular the book 'The Little Blue Duck'. For teachers, you will be able to download an information and classroom activity sheet pertaining to this exhibit. 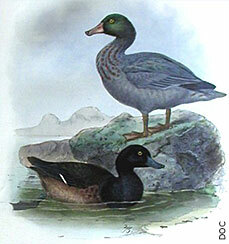 This is a good opportunity to do some research into the native Blue Duck and other native NZ creatures. Whio are on the $10 note. Whio live in one of the most challenging environments in the world - a fast flowing river! They have a lip on the end of their bill to protect their bill when feeding for aquatic insects amongst the rocks. They are perfectly camouflaged - they are blue/grey in colour and look just like a rock! They have big webbed feet for swimming in the rapids - even day old chicks can negotiate the biggest white water - born to surf! Whio are feisty - don’t mess with them. They defend their territory from other whio and even other ducks on the river. So Whio cannot be kept with other species of ducks in captivity, because they fight too much. Listen to the sounds the Blue Duck makes - as recorded by the Department of Conservation. See these facts and more from the Department of Conservation. Rats are introduced pests which threaten the long-term survival of native species. They include the Pacific rat/Kiore, ship or common rat and Norway or brown rat. Ship rats and Norway rats also eat any small animals and plant material, including the adults, eggs and chicks of many rare birds. What Lies Beneath Exhibition Teacher's Resource. 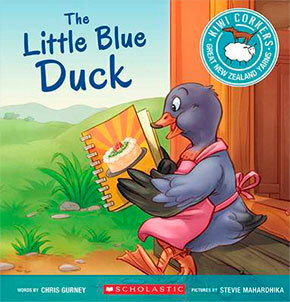 Facts and links about the Whio - Blue Duck. Fun facts and printable posters - Department of Conservation. Printable facts sheet from Kiwi House. Watch videos of the Blue Duck from Wildscreen Arkive. Facts and links about the NZ Rat.